Although it can seem easy (and sometimes is the best option) to resort straight to pesticides and poison when you have a pest problem, there are steps you can take to prevent even getting to this point. Using alternative methods, such as keeping your home a pest-free environment, can mitigate the risk of your home being attractive to pests in the first place. We’ve put together 5 housekeeping habits that you need to cease, in order not to attract any unwanted visitors. One of the loveliest places for a pest to inhabit is a mess of garden trimmings or unkempt lawn, weeds and bushes where they can easily hide and procreate. Avoid attracting pests near your home by maintaining your garden regularly. This includes consistent mowing, weeding and disposing of any garden trimmings in the trash. Basically, anything that you can do to prevent your garden becoming a jungle! A main reason why pests love to inhabit human homes, is the abundance of leftover and rotten food on offer. So it goes without saying, leaving garbage bags unsealed or laying around will present a smorgasbord to the household pest. 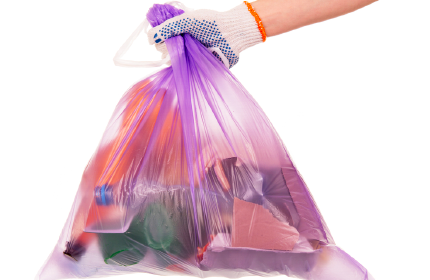 Make sure you take your bins out to be collected each week, and when you do dispose of household rubbish, make sure that it is in a tightly sealed bag. 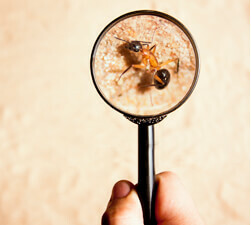 Pests love to hide in places where they won’t be disturbed. This often means in your roof, attic, walls or in any hard-to-reach cupboards that you can never be bothered to clean out. Every month or so, and especially when the seasons are changing, make sure you do a full clean of your home, inside and out. As well as this, check on any storage you have, and make sure that the boxes are sealed. Food that has been left out can quickly turn into hard-to-get-rid-of germs. When you have a spillage around the house, make sure you clean it up promptly. Another key tip is to make sure any leftovers are stored in sealed containers, and cuts of fruit or vegetables are not left lying around on the kitchen bench. This goes for pizza boxes and takeout containers, as well. Make sure these are disposed of quickly and thoroughly. To avoid attracting pests, make sure you don’t leave piles of dirty dishes in the kitchen sink. Dirty dishes, with congealed food on them, become harder to clean the longer you leave then. As well as this, a dirty kitchen with food remnants will waft the smell of a buffet off to nearby pests. So, are you guilty of any of these bad habits? Never fear, they are easily fixed! In order to keep your home free from pests this season, stick to these 5 handy guidelines.